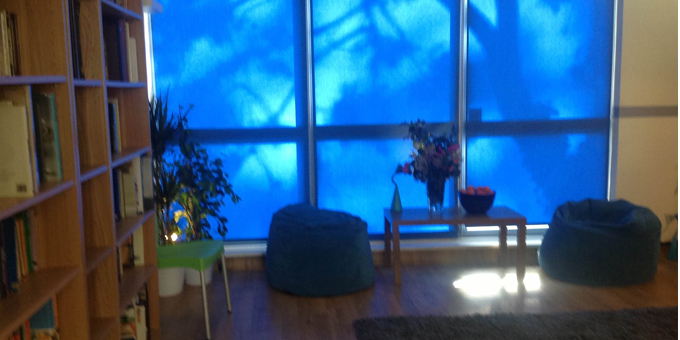 A reflection of the trees outside the Living Well Partnership is cast in a blue hue across the ‘non-clinical space’ that is The Evening Sanctuary – a new out of hours support service, which opened on Wednesday May 6. Hosts, Mosaic have created a welcoming makeover for those who tonight might find themselves alone and frightened in a crisis. The service is open to Lambeth residents living with a mental health condition (or those in crisis who may not be in the system) who turn up at local A&E departments seeking support. Referrals can only be made via local hospitals’ psychiatric liaison teams. The Evening Sanctuary is a three-month prototype and part of a range of responses to how best to support people in crisis. Peer supporters from Solidarity in a Crisis, (out-of-hours crisis line, recognised as model of good practice in the Crisis Concordat, Certitude) join the Sanctuary team of volunteer Mosaic Clubhouse members and support staff. These sentiments are echoed by Freddy who is equally inspired, “I can’t wait to see what enfolds over the coming months, ” she adds. As well as the more relaxed space, people will be able to take part in activities such as exercise and art, watch TV or films, make a snack or be signposted to other services. There will be the opportunity to have access to the services that the Living Well Partnership provides during the day. There are many reasons why you might want to be part of this project (it’s been a long time coming and a cast of many have been part of its journey). As well as the incredible strides Linda O’Neill has made on her own recovery journey as a Mosaic member and trustee, she has seen others get their lives back on track when support is timely. “We have people coming here during the day from long stays in hospital who have become better and been able to move back into their own homes,” she says. Vanessa Chase has been a Solidarity in a Crisis peer supporter since November 2013 and also works for Community Connecting, which supports people to engage in activities and meet others with shared interests. “Isolation is a terrible thing, ” says Vanessa. Reflecting on her own experience she says she has felt “so lonely and alone” that when she’s been in her home “it’s been so quiet, it is screaming in my ears”. For Vanessa “being a peer supporter empowers me. By sharing my knowledge and life skills I believe makes the people I support know that I’m on the same page as them. Photos: (Top) Opening night: Freddy, Damien, David, Richard, Maresa and Vicky. 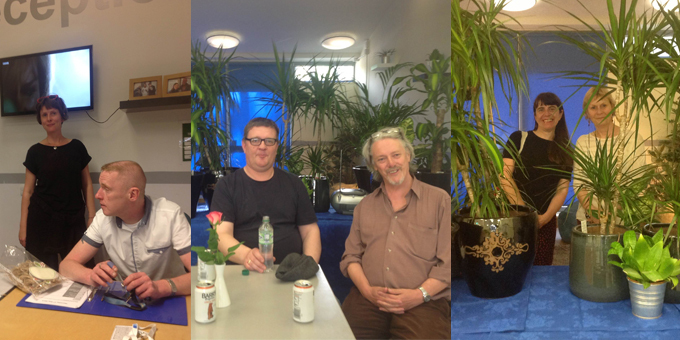 Thanks to Reay House Library for the mindapples tree.